CEO Dave Magers says the Portland car community is very creative, resulting in the highest percent of custom vehicles of any auction in the country. 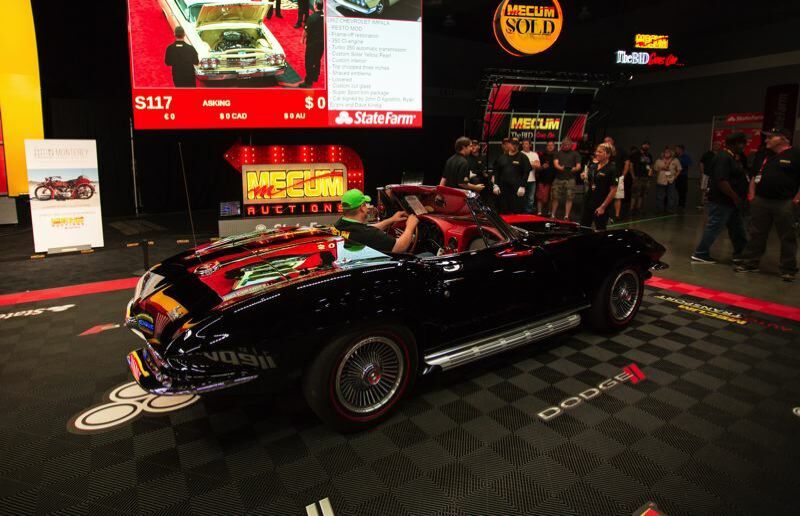 Mecum Auctions returns to Portland for the third time on June 22 and 23. About 650 collector cars are expected to be up for sale on both days. Collectable motorcycles will also be auctioned a Friday at the Portland Expo Center, 2060 N. Marine Dr.
Cars already registered for sale include a 1955 Ford Thunderbird, a 1967 Chevy Camaro, a 1970 Plymouth Hemi 'Cuda, and 1962, 1965, 1968 and 1990 Chevy Corvettes. Dave Magers, the CEO of Mecum Auctions, says the company expects a high percentage of custom cars, trucks and motorcycles as well. "The people in Portland are the most creative of anywhere we go. We see the most hot rods and other one-of-a-kind vehicles there. The car culture in Portland is very hands on," says Magers. The Mecum Auction Company is the world leader of collector car, vintage and antique motorcycle, and Road Art sales. It hosts 14 car auctions throughout the United States which are shown on NBCSN. It also hosts two motorcycle auctions and two tractor auctions every year. Around 15,000 vehicles crossed the auction block last year, generating approximately $400 million in sales. According to Magers, the collector car market is very hot these days. "We're seeing more cars and higher sales totals at all our auctions this year," Magers says. 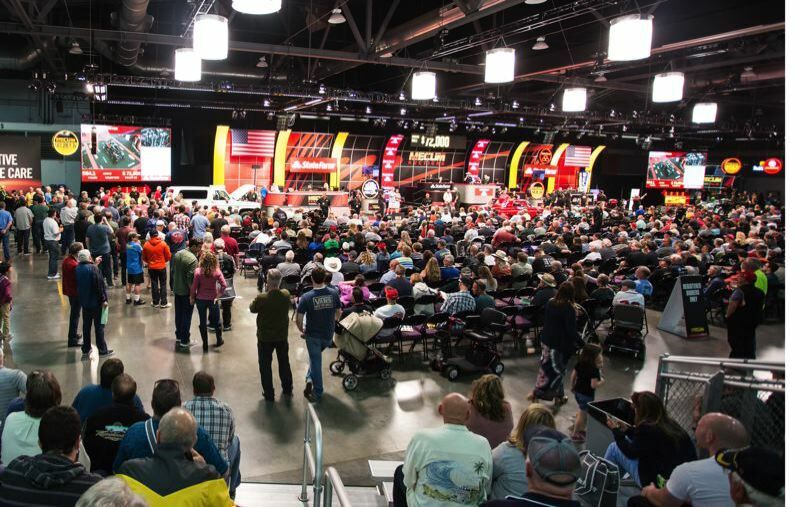 Mecum first moved the auction down from Seattle in 2016. With a lineup of 461 vehicles for sale, it grossed $9 million in sales. That fell to $7.9 million from 480 sale vehicles last year, but Magers predicts this year's auction will increase this year. 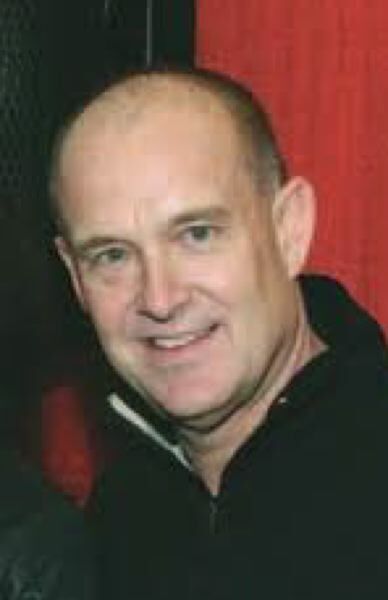 "All of our auctions are doing better this year," says Magers. The company, whch is based in Wisconsin, has been in business for 31 years. It has approximately 130 full-time employees at its corporate headquarters and another 300 who are on the road for the auctions, including a complete TV broadcast crew for the live and recorded NBCSN programs. Discount tickets and bidder registrations are available only. Tickets are $30 at the door, $20 only. Bidder registrations are $200 at the door, $100 online. Sellers must check in between 8 a.m. and 6 p.m., Wednesday and Thursday, June 20 and 21. Doors open for the auctions at 8 a.m. Friday and Saturday, with sales starting at 10 a.m. both days. For more information, visit: mecum.com/auctions/portland-2018.